This modern mystery tells the story of Cody and Virginia, who start talking while he is in Brooklyn and she is in Berlin. It is a romance that could only happen online, and they’re happy together, though they’ve never physically met. Once Cody becomes suspicious that Virginia may not be in Berlin at all, he becomes obsessed with finding the truth. 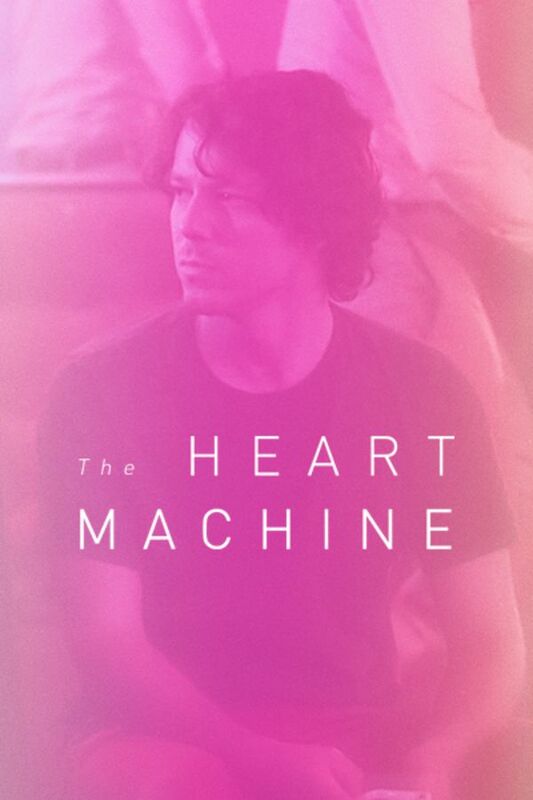 Tracking two parallel journeys that show how technology complicates modern love, The Heart Machine explores the evolving relationships among physical and emotional intimacy, isolation in the urban hive, and the seduction of hiding behind a screen. Cody begins to suspect that his long-distance girlfriend whom he met on the internet has been living in the same city as he has, and he sets out looking for her in this modern mystery about love and intimacy in the digital age. I enjoyed this movie very much after some initial doubts. Coincidentally I was in (still am) in a very similar relationship myself, and all the emotions and situations ring true. Sadly, there was no happy ending, which I would prefer, as it would give me some hope in my case, but I didn't write the script, and I'm beginning to believe more and more a happy resolution is possible, given the circumstances. Very well done, I highly recommend it. Heart Machine makes you realize how much dating has changed over the years. Characters Cody and Virginia are far apart in their personal lives. They connect via Skype when it works for both of them, but beyond that, they do their own thing. She lies about where she really is, he becomes a bit of a sleuth, and this is what dating online is like in our world today. Someone can say what they want you to believe and you won't know unless you do a little snooping. Terribly shallow movie with no depth or plot twists. I've had real-life online/app dating experiences more odd and riveting than this movie. Typical self-absorbed young adults (she's a narcissist, he's a creep), and a complete waste of NYC as a setting. Feels more like a rich white kid's grad school film project than an indie film worthy of a spot on Sundance Now. A little slow moving at first but it picks up. I was very invested in Cody's search for his "girlfriend" and loved the ending. Well worth watching. I may even watch it again.